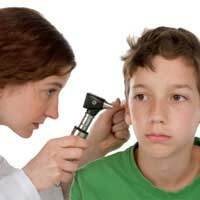 Ear drops are preparations used for the treatment of many disorders of the ear. They come in many dosages and consist of many different ingredients depending on what they have been recommended for. Ear drops can be purchased over the counter as a method of preventing certain disorders of the ear or as a way of treating conditions without the need for medical intervention. Some preparations however will require a prescription so a visit to your GP will be needed in order for a specific diagnosis and treatment plan to be formulated. Many of these varieties are developed to help soften a build-up of ear wax. These may be oil based or made up of chemicals that act by breaking down the deposits in the ears.There are a wide variety of solutions available on the markets each claiming to achieve the required result, though the prices can vary very widely. Each person should discover the preparation that works best for them, though normally the oil based varieties are ideal for helping to soften wax and lubricate the ear aiding quick and easy excretion of the wax. Always read the label thoroughly as some contain peanut oil and can trigger a severe reaction in those who are allergic to peanuts.Do not use when a perforated ear drum is evident or on broken or infected skin. If you have any doubt, please speak to the pharmacist who will be able to tell you which ingredients are to be avoided with certain conditions.Most are safe to use in pregnancy, though, again always read the label as chemical content changes and preparations may vary as they continue to be developed. Ear drops that require prescription are most likely to contain anti-biotics or steroid treatments and are commonly given for the treatment of prolonged or persistent ear infections. The type of medication included in the ear drop will depend on the type of infection, the location within the anatomy of the ear and the severity of the infection. Always discuss the possibility of side-effects with your GP so they can be expected without causing unnecessary alarm. It is important to remember to wash hands before handling the equipment used for giving ear drops, as bacteria and germs can be introduced on to the equipment very easily.It is often easiest to administer the drops when sat in front of a mirror.Normally the bottle will require a good shake before use to ensure even distribution of the contents.Read the label before opening the bottle and ensure times are correct for administering the drops. Remove lid, tilt head to one side, using the pipette supplied, and draw up some solution into the dropper. Very carefully, drop the required amount into the ear, making sure that not too much is used. It may help to pull the ear lobe in order to open the ear canal to its maximum.Leave head tilted for a few minutes so the solution can trickle into the full ear canal. Wipe away any excess material and use a cotton plug in the ear if required. Repeat in the other ear and as often as necessary until the prescription has been used.Do not share ear drops with others and this can cause cross-contamination of bacteria and infections. It is advised that jewellery be removed whilst using ear drops to prevent damage to the material. Ear drops can be a safe and effective way of preventing further interventions needed for infections or wax build-up providing they are used as directed and safely. They are easy to use, though sometimes it is easier to ask someone else to assist in the administration of the drops.